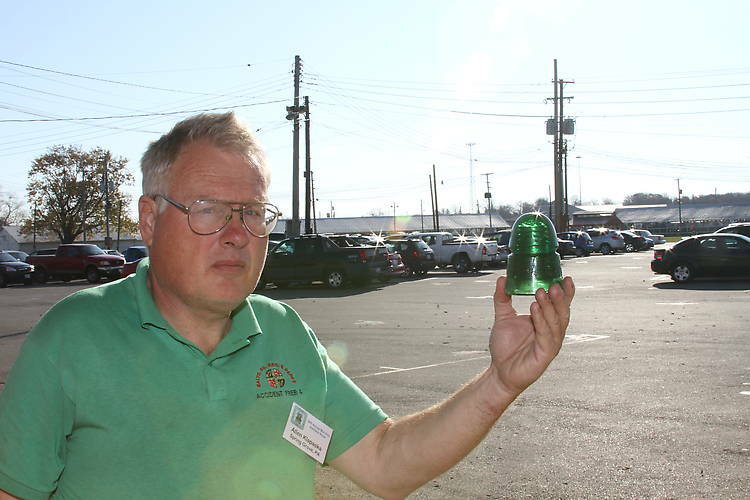 Insulator Shows (2009 Springfield) > Odd Colored "B"
Alan Klapaska holds up a real nice CD 145 In a hard to describe, cool looking green. I know he went home with a couple of new finds. Good speaking with you Alan.